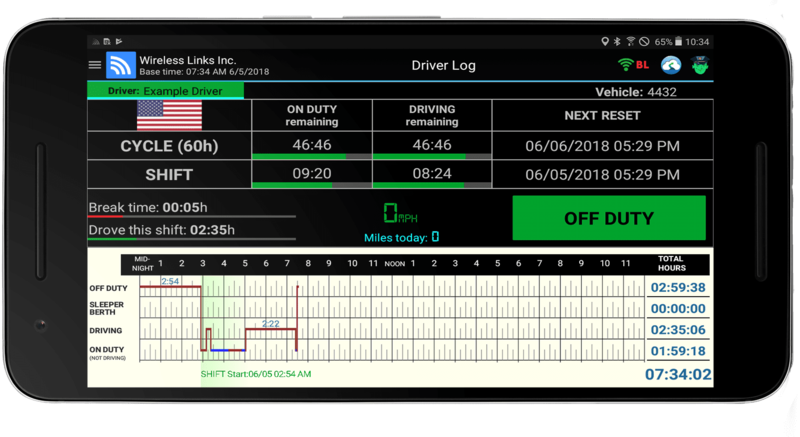 Streamline your fleet day to day operations and simplify FMCSA Compliance with our DriverLog ELD solution for fleets of all sizes. Compliant with Federal, Texas, & California rules and with the Canadian DOT rulings with auto-switch between the two. With a wide-range of solutions for Fleet management, temperature monitoring, driver safety and more, we offer one unified platform to streamline your business and lower costs. Our products are designed to think like drivers so that your drivers don't have to think like computers. DriverLog supports English, Spanish, French Canadian and Mandarin Chinese. 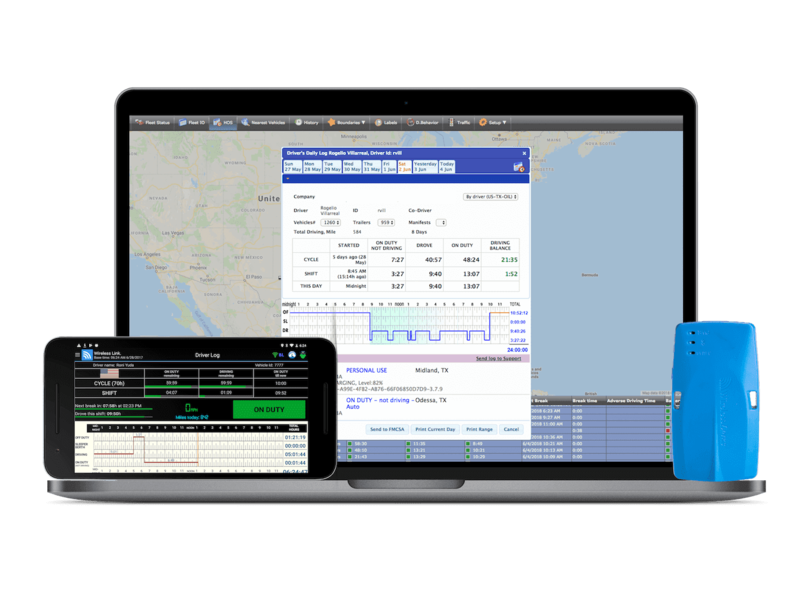 For integrators, DriverLog can be easily integrated into any 3rd party application with just a click. Be in control. 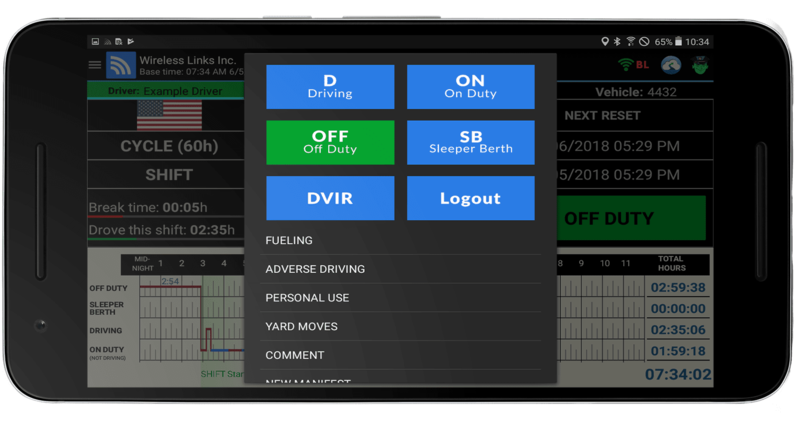 DriverLog makes it simple for you to view your current and remaining on-duty status for the shift and cycle. Change your duty status at the push of a button, no complex menu navigation needed. DriverLog auto updates your status when driving starts and stops. DriverLog seamlessly logs duty status for co-drivers. Co-drivers are able to access their data so they can view their logs or see how much time they have remaining, even while the driver's logs continue to run. Switching between team drivers is as simple as clicking a button. 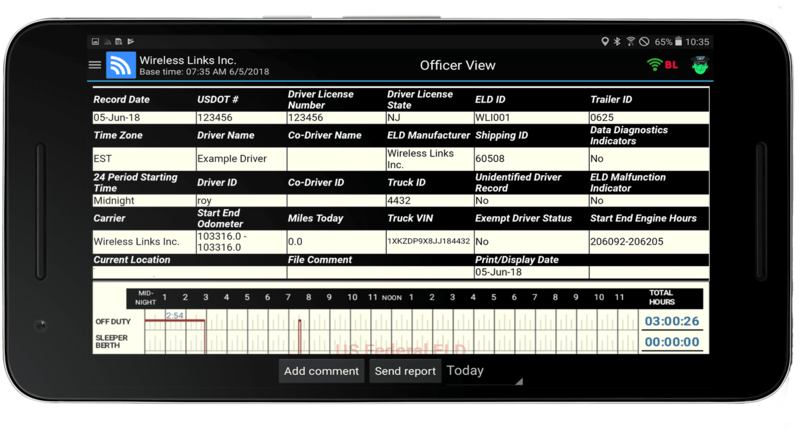 With a password protected officer view, DriverLog makes it safe and easy to approach DOT inspections with ease. Get a real-time view of the current and historical HOS data across all of your drivers. Suggest edits to your drivers' and handle any unidentified driving events. Gain complete visibility of the current status of every driver in the HOS shift and cycle. Easily identify drivers approaching violations. Measure and improve efficiency with rich reports, delivering key HOS insights to your fingerprints. Make your life easier with automated IFTA fuel tax reporting- including total distance driven, breakdown of toll and non-toll roads driven in each state, and fuel purchases. Even auto-email the report to your inbox at the end of every quarter. Your fleet has unique requirements, we offer multiple ELD devices to meet your needs.